There's A New Currency Now...Postage Stamps! For the first time in the 21-year history of the International Reciprocal Trade Association, an individual from outside the United States has been selected by his peers to lead the association. In its own inimitable way, Australia is one of the most interesting and successful nations in the world. The United Nations Human Development Index, which measures a society's general well-being, places Australia ahead of such admired and comfortable entities as Germany, Switzerland, Austria, and Italy. Australians enjoy a glorious climate, superlative beaches and beautiful national parks, a resilient and often booming economy, and a wholesome commitment to egalitarianism, plus a wonderful gusto approach to life. Their superb hosting of these Olympics (all-time record ticket sales) reinforces what some of us in IRTA already know about the Australians...they are peerless achievers. There's A New Currency Now. . . Postage Stamps! In every issue of BarterNews we report on the various currencies that are being used in today's world. Recently the U.S. Postal Service unveiled a new micro-payment program that allows customers to use first-class stamps as legal tender to pay for low-cost, non-postal goods and services. The USPS announced the program at the first of four 'N Sync concerts at Madison Square Garden in New York, because the group's official tour photographer--a company called Fan Association--is using the micro-payment program to allow concert-goers to pay for photos of the concert. Courtesy reply cards were given by Fan Association to attendees at the show who wanted photos of the band performing live and a catalog of 'N Sync memorabilia. Fans could send the cards back with six postage stamps affixed to it, which would equal the price of the goods. Just four decades ago the trade exchange industry was born in Los Angeles. 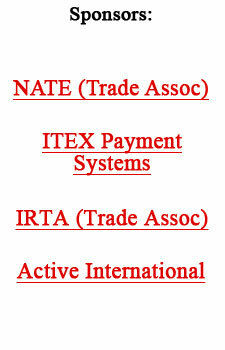 There are now an estimated 450 trade exchanges across the United States. Twenty years ago only three countries had trade exchanges. Today there are 39 countries around the world with trade exchanges. When viewed objectively, and compared to other professions, like the practice of medicine (evolving since the year 377 B.C. when Hippocrates drafted his famous oath), the future of the trade exchange industry looks exceedingly bright! The nation's best known non-flier is Fox TV football-analyst John Madden. Years ago, during a televised national program he discussed his aversion to flying, saying he was thinking about getting a bus. A Greyhound Lines public relations man heard Madden's comments, spotting an opening to bring his company some valuable exposure. The result? Greyhound seized the opportunity, in the process getting millions of dollars worth of free press coverage. The barter arrangement gave Madden a Greyhound bus for cross-country traveling, complete with plush modifications, worth $500,000. In return Madden was required to give motivational talks to Greyhound employees in the major cities he passed through during the football season. He made 30 talks per year for three years, and then the luxurious bus was his--free and clear! Two petroleum companies (Anadakro Petroleum and Alberta Energy) are bartering interests in oil and natural-gas exploration in Alaska and Canada's Western Arctic region. Europe's biggest defense contractor BAe Systems and Saab AB have agreed to accept $50 million a year in nuts & bolts, uniforms, safety equipment and electrical goods for themselves and their suppliers. The agreement is part of a countertrade (barter commitment) linked to South Africa's purchase of Saab's Gripen fighter planes and BAe Hank jet trainers. Marcia Mendez-Rodriques is handling the direct marketing and bartering programs for Trivest a private investment firm. Forty-seven percent (47%) of all sales made in the U.S. are done in the small business marketplace. Microsoft has donated (a quid pro quo form of barter, earning tax credit and good will in exchange for products) another $15 million in software to fund the expansion of NPower, a program that helps non-profits with their technology needs. The products will be used in twelve cities across the country. California homeowners have a lot of reserved purchasing power in the value of their real estate. The total value of the state's single-family homes, condominiums and town houses hit $1.98 trillion in June, up 14% from a year earlier...valuations are increasing $58 billion a month. While it doesn't happen as often as it will soon in the future, savvy businessowners/members of trade exchanges can acquire favorable six figure loans from their trade exchange. The trade dollars are then used to make valuable real estate additions to their business establishments. And the loans are paid off by the additional business the exchange pushes to the member establishment. There are few signs that traditional advertisers are embracing online advertising, according to a recent study released by a unit of Media Metrix. The study shows that of the biggest 200 advertisers on the Web, the proportion of ads purchased by "dot.com" firms climbed to 77% in July, up from 64% a year earlier. GreatDomains.com handles the sale of registered internet domain names for a commission. They usually get 10% if the domain name is sold for cash, but if any type of barter was involved the commission is 15%. Which is perplexing, inasmuch as it should be easier to trade than sell for cash, which means less effort on the part of GreatDomains for their commission.